Second hand and used Golf Clubs for sale in your area. All of the top items on the best UK second hand classified and auction sites in one place. 8 Lynx Black Cat irons, 5 to sand wedge plus the 3 iron. Some have been regripped. Good condition . Golf bag & full set of mizuno clubs.In used condition.Collection only DH1 areaPayment on collection please. Full set of golf clubs and bag everything included here if you wanted to give golf a go and not spend loads of money then this is for you. 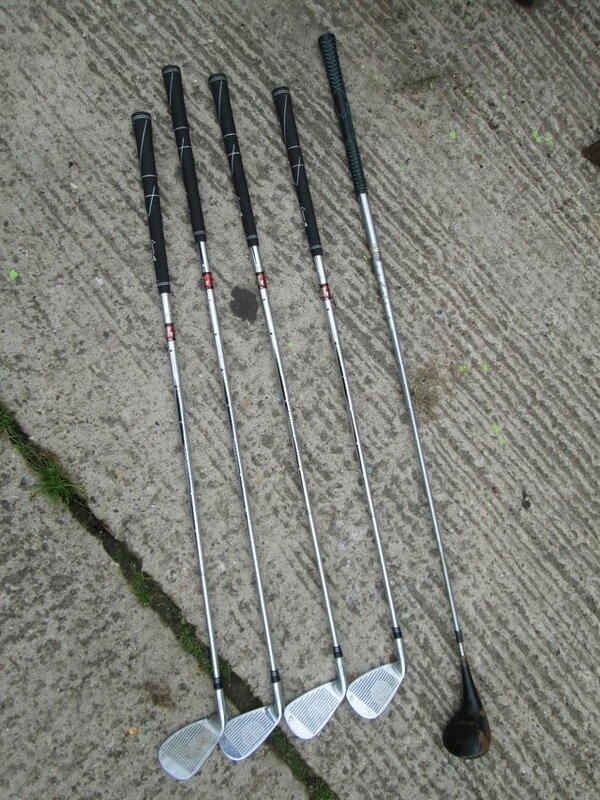 Used but in good condition.Ping Zing clubs. These clubs come with jumbo handles for comfort. Bright and colourful golf club bag. Never been used. As new condition. Great beginners bag. Strap and club cover, complete. Bargain... Nr Kidderminster. MASTERS MCJ 520 KIDS GOLF CLUBS SET, PLUS MATCHING BAG, 5-8 Yrs.. Golf club set (mens r/h). Bag complete with 11 clubs. Plus freebies! Donna White USLPGA PRO BRAND. Small clubs ideal for beginner etc. Fair condition for age. Clubs 3-8 plus 1,3,&5 drivers, pitcher,sand wedge, putter. Ideal for beginner etc. Bag and umbrella . Offers. Regal golf caddy and various golf clubs, golf trolley and golf bag. Unfortunately the bag has a small tear but otherwise in good condition. Would possibly suit a beginner. Buyer to collect. A selection of vintage golf clubs 17x irons and 2x woods. Collection only. Thank you. Muira HB4 23* SIT hybrid with an Accra MTH Dynamatch 2.0 M3 shaft, No1 grip.Head - 9/10Shaft - 9/10Grip - 8/10Cost £300.00 when new, built by a well respected club fitter. 3 drivers, 5 irons, one putter, bag and trolley. These are 8 Ram Concept golf clubs. 4, 5, 6, 7, 8, 9, P & S irons. . . Multiflex graphite shafts. I will do my best to answer any questions you may have. GOLF SET WITH 26 MODERN CLUBS 2 GOLF BAGS, TROLLEY AND A PILE OF CLUB END COVERS LOTS OF DRIVERS WITH GRAPHITE SHAFTS CHIPPERS PUTTERS SANDWEDGES PITCHING WEDGES AND LOTS OF GOOD CLUBS. THERES A LOT..
Mizuno MX-23 Irons 5 to Wedge. R300 lite shafts with new gold golf pride grips. Like new Nike golf carry /stand bag with clubs for sale - Â£65 Collection from Sutton - SM1 Please feel free to come and have a look. I have two sam sneads (wilson) golf irons.I am no golf expert but I'm informed Wilson irons are amongst the best so a sensible offer is welcomed. Titleist 990 Golf set, assorted clubs, drivers, putters, Balls with Hippo Bag. Onyx ZX-Tour Golf club set, comes with 5 woods & 7 irons. Plus a very nice golf bag and golf trolly and 4 Onyx golf balls which have never been used. Got the set prior to having a heart attack so it..
Gents half set of Target System modern cavity back clubs, 3,5,7,9,P/W,S/W, all with new Golf Pride grips, includes putter & new Keno Attack oversize no. 1 driver, vgc, Â£40. A used full set of Prima 111 golf clubs. These clubs are a copy of the Ping eye range and are a very popular club. Ideal for someone thinking of taking up the game without going to the expense of new. Set of golf clubs with self standing bag and cover, consisting of 1,3,5,7 metal woods, and 3,4,5,6,7,8,9 irons, one pitching wedge, one sand wedge and one putter! Excellent condition, hardly used. right handed golf clubs mixed set x10. Used sauder golf bag with various golf clubs - 4,6, 9 Irons and pitching wedge (Brand = Wilson) 1 x Jack Nicklaus world series 1 wood (Brand = Slazenger) 1 x Wilson 1200 LT Wood (Brand = Wilson) All..
Half set of steel shaft, right handed golf clubs, comprising:- 2 putters, 3, 5, 7 & 9 irons. 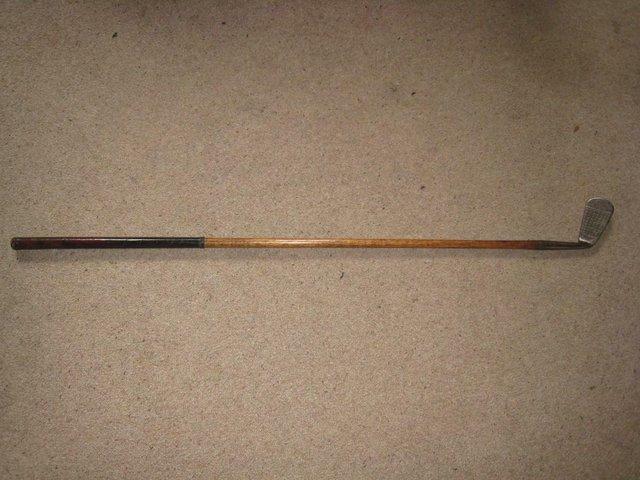 Old but in fair condition, ideal for someone starting out in their golf activities! Starter set of Ladies golf clubs, bag and trolley, also have golf shoes size 5 and tube of practice balls and pencil bag. Full matched set of golf clubs, 3,4,5,6,7,8,9 S & D. Marked Wild Thing by Royal. Diamond cambered sole. Oversize. Plus 2 Drivers. Golf bag and Ping eye irons except number 5. Very good condition. Slazenger ?Seve Ballesteros? 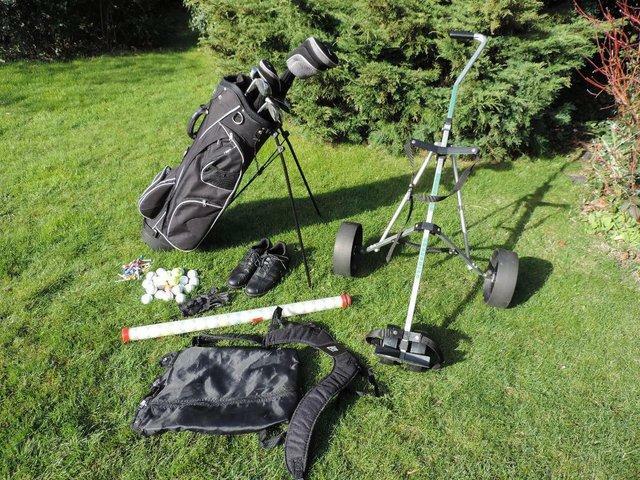 Golf clubs for sale including bag, stand, trolley and accessories such as new balls, umbrella and tees. Set of Retro Golf Clubs plus Bag and Trolley. Taurus 2000 Clubs/IronsComplete with Bag & TrollySelling on behalf of a family memberItem can be viewed or collectedfromHornchurch, Essex RM12 4RAWill be well packaged for safe secure delivery. Golf clubs. Golden Bear Jack Nicklaus Tour irons. Jack Nicklaus Tour irons. SW, PW, 9 8 7 6 & 5 Cavity back, Recently re-gripped with golf pride mid size. Excellent condition. Ideal for mid to high handicap. Very forgiving. RAM. 1,3 & 5 woods. 8 irons. 4,5,6,7,8,9 pitcher & sand wedge. Including bag. golf clubs. Condition is Used. Dispatched with eBay delivery – Shutl 1 day. Pinhawk Golf Irons Same Length Golf Clubs 5 to PW.Fantastic set of clubs in very good condition.Great control on every shot.Dispatched with eBay delivery – Shutl 1 day. Wilson WT200 Deep red Golf Clubs And Fazer Bag. Condition is good, Used.Dispatched with parcelforce. Modern cavity backed golf clubs for sale custom built in Scotland Special Edition. 3 - 9 irons with a sand iron, all in good condition, virtually unused Howson 1, 3, & 5 drivers with head covers and..
Full set of Golf Clubs 3 iron thro to Sand Wedge with Fazer Putter and Slazenger 3 Wood. 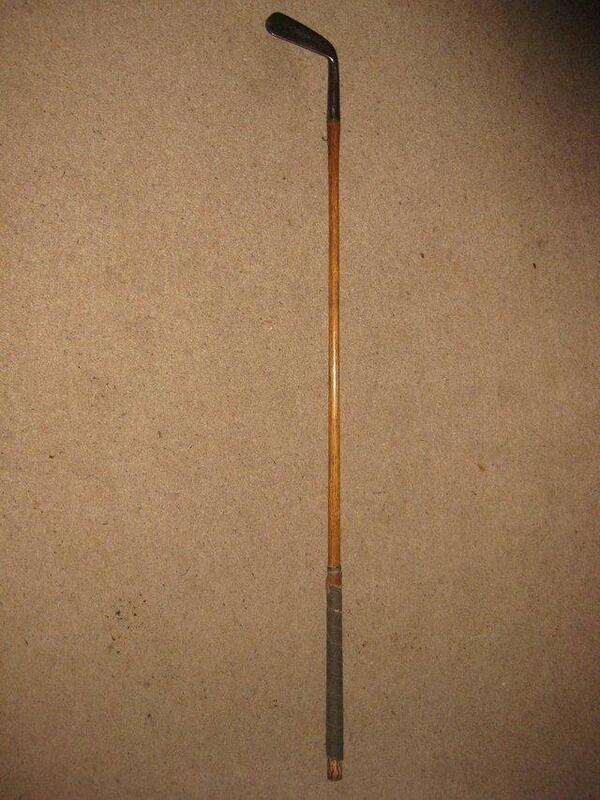 Comes complete with Slazenger Bag with Head Cover, all clubs have been used but are in decent condition, would. Golf Clubs, ending 24th May and is a storeinventory sale.